Usually priced at $99 this software is a must-have before the offer expires with ADSR on the 22nd June 2017. So what is Regroover? Well, it's a tool designed to unlock the power hidden in some of your loops. 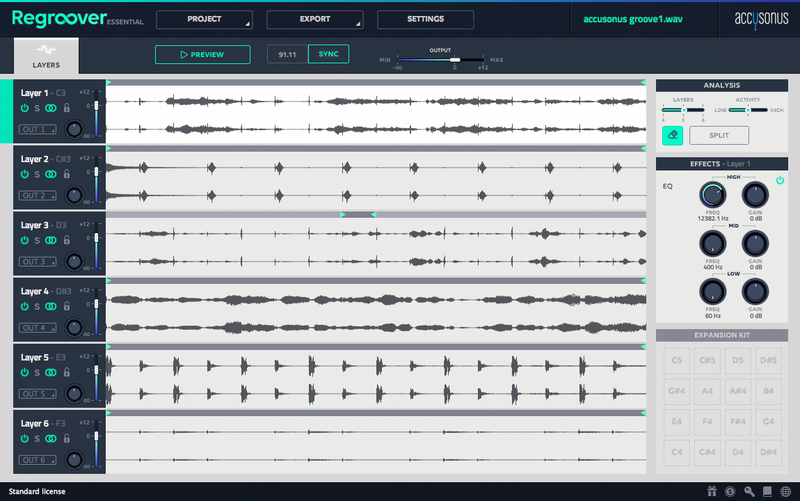 Using the software's artificial intelligence you can extract layers within loops, create new kits from individual elements or even adjust volume levels of parts and instruments within a loop. It's a unique and creative tool for reworking audio you might have given up on or using Regroover for expressive, original and unique sound design techniques. Check out the YouTube video below from ADSR to hear it in action. So, what are you waiting for, hop over to the site on the link below and follow the instructions to grab Regroover Essential for free while you can! Interested in effects, synths, plugins and electronic music production? Why not take a look at our hugely popular Electronic Music Production BA (Hons) degree course?